Repair of doors, door frames, door handles, door kick-in's and handyman repairs. Repair of hang pictures and mirrors, and other repair jobs.. Complete interior and exterior painting, lead paint renovation, power washing, and preparation of homes and offices. Bookcases, kitchen and bathroom cabinets, work benches, shelving, windows and granite counter. Are you good with your hands, have your own tools and can fix just about anything? Do you like working on different jobs every day and making good money in the process? If you answered YES to these questions, then you might want to become a One Call Home Handyman Contractor!! 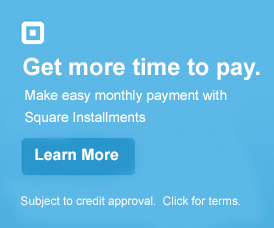 Want to pay for your services? Want Our Inspection Quote Services? Pay Your $85 Fee Online! Want Our Sach/Window Evaluation Services? Pay Your $130 Fee Online! Want Our Realtor® Inspection Service? Want Our Stucco Evaluation Services? Want to finance your work? Is jobs from $250 - $10,000? Need Our W9 For Your Records? One Call Home Handyman - Houston is a group of service specialists with a combined experience of over 50 years in the handyman repair, construction and general contracting business. We specialize in all types of handyman and home repairs including doors, door hardware, carpentry, wood flooring, lead paint remodeling, painting, counter tops, tile, wood window repair or restoration, storm window inserts, option period and inspection repair services, hanging pictures and mirrors, installing drapery rods, window blind installation and much much more. One Call Home Handyman was started by Kyle Pentecost to assist Houston home owners in accessing high quality handyman services, at a reasonable price, with the knowledge that the work performed in their home would be performed by highly qualified tradesmen. We work in almost any area in and around Houston including but not limited to Houston, Memorial, Spring Branch, River Oaks, West University, Southside Place, Bellaire, Southampton, Southgate, Montrose and many others. If your project is Inside Beltway 8 or if you are Outside Beltway 8, we can help!!! One Call always provides free over the phone estimate for all your small repair needs and are available by phone or you can Contact Us Online. We will be pleased to provide you with free over the phone pricing for all labor and materials as well as an estimate of the time to complete small jobs at no cost to you. If your job is large, is a make ready / option period repair, needs a written estimate or requires a trip to your location or a written quotation, an evaluation fee of $85 will apply. If you happen to be a Realtor® or Seller, we can provide make ready and option period / inspection repair quote services for you and your clients at a nominal cost of $85. Just complete our Inspection Quote Service Form and we will contact you immediately. If you have an inspection report, please get it to us so we can better understand the scope of the work. For more info on our option period repair service, Click Here. In addition to Realtor® make ready's and after inspection services we also provide make ready services for residential property rentals and apartments. If you are in need of make ready services just fill out our Request Form and someone will contact you immediately. No matter what your needs, "One Call Can Solve All Your House Problems". Our motto is, "Your satisfaction is our paramount goal and earning your referrals is the key to our success!" NOTE: As general contractors, we subcontract all electrical, air conditioning and plumbing projects to licensed/master electricians, air conditioning professionals and plumbers. We also provide a 180 day warranty on work performed. Click Here to view our warranty information. Would you like to see some of our work? If so, Click Here. In addition to handyman services, we provide customers with make ready, option period and inspection repair quote services for a nominal feel of $85. Once we have your inspection report or list of repairs, we will give you a quote to complete the repairs provided for in the inspection report. In addition to the above we provide customers with Concierge Membership Service at a discounted rate of $10 off our usual rate. Sign up today and we will provide service Monday - Friday, except holidays, at the membership at a discounted rate of $10 off our usual rate for a tech and helper. We also give you priority scheduling for this service. Are you a Concierge Member? If so Book Your Service Request Online. One Call has worked with historic wood windows since the mid 1970's and has fostered relationships with tradesmen that can repair, restore and replace, if necessary, any type of wood window or sash. According to the National Trust for Historic Preservation, "Windows are the most visible, yet commonly under-appreciated components of older and historic homes and buildings" and according to City of Houston, "Perhaps the most valuable architectural element of any historic building is it's windows". If you restore and/or repair your existing wood windows you will keep the charm and astatic value of your home and in most cases save money in the process. In addition we provide service contracts that allow our larger commercial customers to prepay for services and receive a discounted hourly rate. If you sign up for one of our Service Contracts, we guarantee a service tech and helper will be available for either 4, 8, 10 or 20 hours. Sign up today and we will provide service Monday - Friday, except holidays, at a discounted rate of $75 per hour for a tech and helper, which is $10 per hour off our usual hourly rate. As a general contractor, we subcontract all electrical, air conditioning and plumbing projects to licensed/master electrical, air conditioning and plumbing contractors. We do not perform this work, but instead have licensed contractors complete the work.